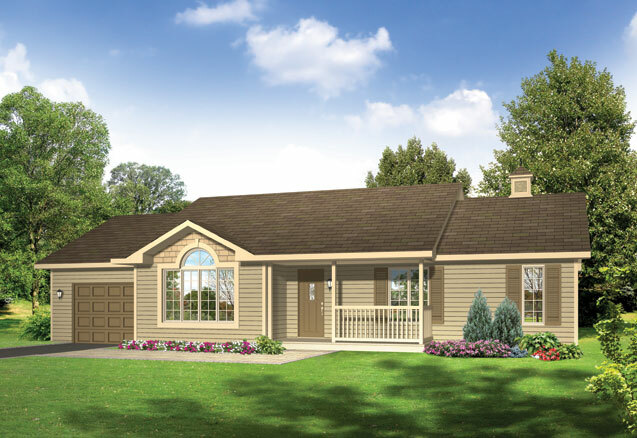 The Ridgestone is lovely self-contained two-bedroom plan ideal as a starter home, retirement home or even a cottage. 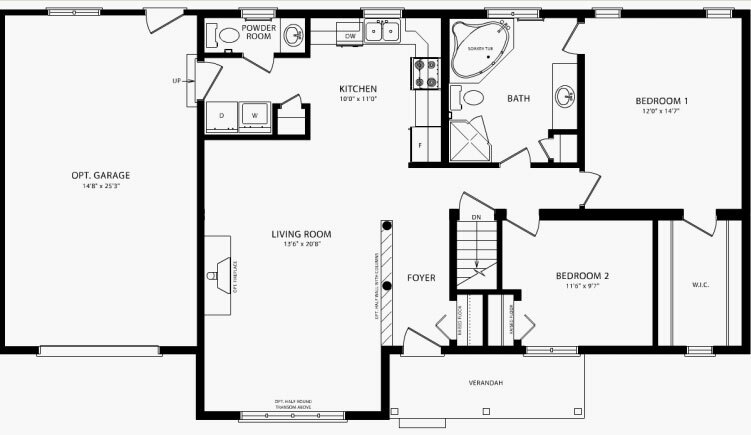 The open concept plan includes an airy kitchen ideal for preparing busy family meals and for entertaining. When you are ready to expand, the full height basement is available for finishing. An optional half-round, transom window adds natural light, and can be accentuated with a variety of trims for interesting curbside appeal.